Thanks for supporting Efun.top so long. We will launch series of promotion through November to celebrate the Shopping Season. Warm Up Promotion 6% OFF "PRE06" for retail order and 4% OFF "PRE04" for wholesale order. We will update when new promotion launches. Thanksgiving Day is coming. We appreciate your support to efun.top for another year. We have coupons and Flash Deals at real low price. Coupons can't apply to the Following Deal Products. Hi everyone! 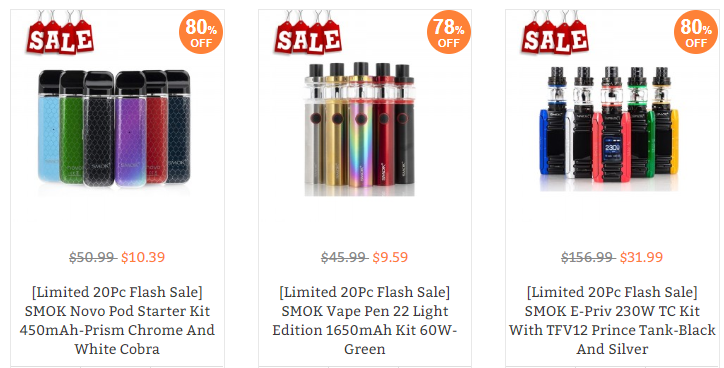 Today we bring you Digiflavor, Vaporesson, Uwell, Limited Daily Deals! [Limited 20Pc Flash Sale] Quantity limited! First order first get! Uwell Crown IV Tank -Black Only $11.99!!! Vaporesso Renova Zero Pod Kit 650mAh-Silver Only $8.89!!! Only 20pcs limited! Do not miss this chance! 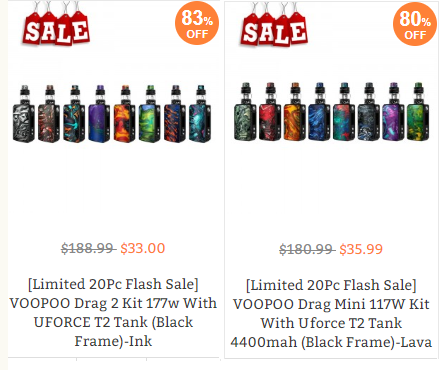 [Limited 20Pc Flash Sale] VOOPOO Drag 2 Kit 177w With UFORCE T2 Tank (Black Frame)-Ink only $33.00! 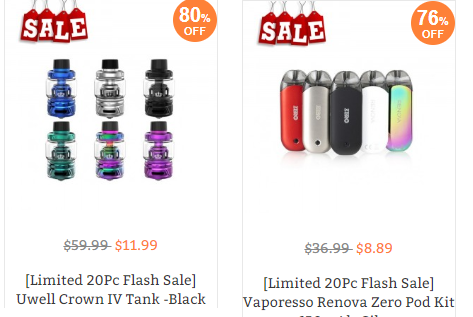 [Limited 20Pc Flash Sale] VOOPOO Drag Mini 117W Kit With Uforce T2 Tank 4400mah (Black Frame)-Lava only $35.99! Coupons can't apply to the Flash Deal Products. Don't forget to log in to get big discount! [url='https://www.efun.top']Efun.top[/url] Black Friday Crazy Promotion is Coming! If you wanna order a lot or have any question, kindly CONTACT our Customer Service to upgrade your account to VIP Wholesale and get more discount price. Enjoy your Black Friday shopping at [url='https://www.efun.top']Efun.top[/url] right now! And we have launched Brand Flash Sale during the 3 days! Seize the Sale after Black Friday!